My parents live in the heart of suburbia, in Worthington, Ohio. My mother is a longtime gardener, and has always kept an interesting stable of plant life. When I came into being some years back and gradually became aware of birds, I began to encourage additional plantings. At that time - I was just a tot - I had not yet developed any sophistication about flora; I just knew that MORE plants and MORE cover meant MORE birds. Being that I wasn't to be mobile beyond the limits of my bicycle for a good number of years, it seemed wise to lure as many birds as possible to MY location, and plants seemed to help with that. Well, a number of years have passed by, my parents still live in that same house, and their level of sophistication involving the garden has evolved. Many native plant species now share space with a dwindled number of day lilies, four-o-clocks and the like. I was up the other day for a visit, and was pleasantly surprised by all of the beasts great and small that had adopted their yard and the plants within. The walk from the driveway to the front door is a brief one, but an interesting trip nonetheless. In part because of this luxuriant Helianthus sunflower. It's right along the front walk, and I noticed a lot of action in its boughs as I walked past. Directly in front of the sunflower is a smooth beard's-tongue, Penstemon digitalis (another native! ), and my mother reports that Ruby-throated Hummingbirds stop by to sip from its flowers. I saw that many of the sunflower's stems teemed with tiny red aphids - very cool! Here's a closeup (as always, you can click the pic to enlarge). These are red sunflower aphids, Uroleucon helianthicola, which apparently are quite happy to nosh on this planted sunflower. Some of the aphids still have their wings, as that's how some them disperse to establish new colonies. Their probosci (snouts) are firmly inserted into the plant tissue, and the tiny insects are happily sucking out nutritious liquids. Happy, that is, until the goldfinches stop by and strip some of them off the stems like boys chomping corn off a cob, which mom reports seeing. Whether the aphids ultimately kill the sunflower remains to be seen, but for now they have probably provided fodder for all kinds of predators such as those goldfinches. They'll stay, and if some enemies rise up against them and wipe out the colony, so be it. Myriad flies of several species were in constant attendance. Whether they are seeking honeydew secretions from the aphids, lapping up detritus left over from aphid bore holes, or are just there to watch the show remains unknown to me. Like the aphids, the flies were doing no harm, and certainly weren't rushing the house or causing concern. I and my camera were excited to see these orange and black brutes wandering about in Sunflower World; comparative giants among the tiny aphids. They are false milkweed bugs, Lygaeus turcicus (thank you Janet Creamer for helping me identify these. Janet's excellent blog is RIGHT HERE). My initial reaction was that they were one of the milkweed bugs, and I guess they are, sort of. While false milkweed bugs occur on milkweed plants, they routinely jump ship and feed on plants in the sunflower family. I'm sure this one sunflower plant spawns plenty of other action that I didn't see in my limited observation time. It certainly created a bit of intellectual stimulation between passing the fifteen feet from my car door to the house's front door. Even just a few native plants can cause a massive boost in biodiversity. You would never see this sort of action on a hosta or most other alien garden fare. And that's just the front yard, which has to be kept rather tidy and groomed for appearance's sake. Wait'll you see the far wilder backyard! Again, if you wish to delve more deeply into the world of native plants and their myriad benefits, visit the Midwest Native Plant Conference. The 3rd annual Midwest Native Plant Conference is approaching: July 8, 9, & 10 in Dayton, Ohio. If you are interested in native wildlife, this conference is for you. The focus is on native plants, but indigenous flora is the building block upon which animals flourish. Check the agenda out RIGHT HERE. There is a Saturday-only option as well, if time is tight. One of the conference's field trip sites is the legendary Cedar Bog near Urbana. I was there last Saturday, ostensibly to teach a workshop on breeding birds, and we saw/heard plenty of those. But our group didn't ignore the entire ecosystem, either, and what an ecosystem! We saw a great many interesting plants and animals, and a few of the former follow. Tightly clustered tiny white flowers collectively create a large and showy domelike inflorescence in elderberry, Sambucus nigra ssp. canadensis. This common shrub is a staple of woodland borders, fencerows, ditches and lots of other habitats. A member of the honeysuckle family (Caprifoliaceae), its berries are often harvested for the production of various foodstuffs; even elderberry wine. Elderberry, especially when in flower, lures an amazing diversity of interesting insects. They in turn attract predators higher up in the insect food chain, which then can become food for birds and higher animals. An elderberry specialist of the insect world is an absolutely gorgeous beetle called the elderberry borer. I have wanted to see one of these gems since I first saw a photo, and finally added one to my beetle life list a few weekends ago. I'll share it later, in a post about the wacky world of beetles. Resembling a cluster of elfin beach balls, the fruit of starry false solomon's-seal, Maianthemum stellatum, provides a point of interest in Cedar Bog's wet woods. A member of the wildly diverse lily family (Liliaceae), this species is nowhere near as common as the false solomon's-seal, or solomon's plume, M. racemosum, at least in Ohio. Starry false solomon's-seal requires rich limey soil with an above neutral pH. Certain to grab the eye in Cedar Bog's rich fen meadows is this odd member of the sunflower family (Asteraceae). It is fen indian-plantain, Arnoglossum plantagineum. It is quite rare in Ohio and highly restricted to high quality fens. Further proof of the lily world's diversity can be found in this curious little herb, false asphodel, Triantha glutinosa. These little fellows might stretch to 8 inches or so in height, and occupy open marly flats within the fen meadow community. 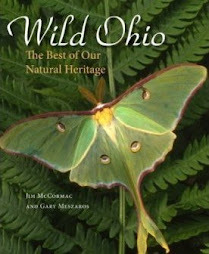 It, too, is quite rare in Ohio and is listed as threatened. The specific epithet, glutinosa, means "sticky" and that they are. The stem, especially the upper regions, are heavily beset with glandular hairs and so sticky that small insects frequently become stuck and perish. This stimulates questions about carnivory. Does the plant then absorb useful nitrogen and proteins from these bugs? I don't know that anyone has studied Triantha in this light. Stars of the meadow, at this season, are the showy grass-pink orchids, Calopogon tuberosus. Grass-pinks are found in fens and bogs, and seeing how well over 90% of those habitats have been destroyed in Ohio since European colonization, the orchid has become quite scarce. Click the photo and you'll better see the small wasp that has landed on the labellum, or lip, of the flower. Most orchids have the labellum fixed at the lower part of the flower; this arrangement is reversed in Calopogon. The labellum is adorned with a thick brush of hairs which look as if they are coated in tasty nectar. They're not - it's a ruse, but one that has attracted this wasp. The wasp wasn't heavy enough, but if a bee - a common pollinator - lands on that brush of hairs, the labellum will quickly fold downwards, catapulting the bee onto the column where it will be dusted with pollen. Should the bee already carry pollen from another orchid, it'll transfer that to the the stigma and thus pollinate the grass-pink. Apparently, it's primarily the younger bumblebees that fall for this trick; older bees become wise to the deceptive ways of the orchid and learn that there is no tasty nectar reward and ignore the grass-pinks. Anyway, come out to the Midwest Native Plant Conference and learn much more about our botanical world - and you can even buy some plants! Excellent! Purple fringed orchid, Platanthera pyscodes, a plant I had not seen for a number of years. 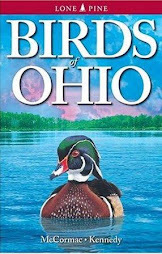 It's quite the rarity in Ohio, where it is considered threatened and known from but a few sites. These plants were whoppers as well, towering to about two feet in height. To be technical, I should probably call this one small purple fringed orchid, to distinguish it from the extremely similar large purple fringed orchid, P. grandiflora. Unless you have firsthand experience with both of these closely allied species, you're going to struggle to figure out which one you've got. Some authorities have submerged the latter into the former, and just give grandiflora a varietal rank - Platanthera psycodes var. grandiflora. The purple fringed orchids are, beyond any shadow of a doubt, among the most beautiful of North American orchids. The lacerated or fringed flowers are works of art, and the color is nearly shocking. Anyone would be impressed. I hope you get to see this plant sometime, if you've not already. The view from near the summit of Clingman's Dome in the Great Smoky Mountains National Park. This high altitude knob straddles the North Carolina/Tennessee state line, and rises to 6,643 feet - the highest point in the Smokies. Red spruce, Picea rubens, and Fraser Fir, Abies fraseri, form the dominant plant community but all is not well in coniferland. All of those dead snags are fir that have been attacked and killed by balsam woolly adelgid, Adelges piceae, an introduced insect pest. Removal of the mature fir has wrought lots of changes in these mountain forests' ecology, including bird life. Nonetheless, many boreal breeders still thrive on Clingman's Dome, including Dark-eyed Junco. Juncos are one of America's best known birds, due to their frequency at winterime backyard feeding stations throughout much of the country. For instance, last winter in my state of Ohio, the Dark-eyed Junco was the second most frequently reported species tallied as part of the Cornell Lab of Ornithology's Project FeederWatch. Yet only a tiny percentage of all of the people who buy seed and ogle juncos probably know the bird on its nesting grounds. These sparrows breed primarily in coniferous boreal forests, far to the north of the vast majority of folks who feed them in the winter. So, we'll go have a look at how little juncos are made. At the end of the road leading to Clingman Dome's summit, there is a parking lot and then a steep half-mile trail to the absolute peak and an interesting observation tower. I made this trek both days that I was in the Smokies, hoping for clear skies and grand vistas for photography. It wasn't to be; both times clounds were thick and all-enveloping, allowing only the occasional misty portal into the mountains beyond. The hikes were hardly a waste of time, though. Many interesting plants, birds and other animals will be seen as one lumbers up and stumbles down the mountainside. On Hike One I noticed an adult Dark-eyed Junco perched near the trail, bill stuffed with a large and scrumptious insect morsel. Obviously a nest was close at hand, complete with young, so I backed off and waited for Mrs. Junco to give up the lair. And that she did, flitting down to a small well-vegetated opening and into a well-hidden alcove largely masked by plants. It's that small brownish opening dead center in the photo. She was in there for just a moment, and from my perch I could hear the young juncos' wheezy cries reach a fevered pitch as they sought her attention and the insect. I have found a number of junco nests over the years, and they all pretty much have resembled this one in regards to site characteristics, although the composition of plant species varies. I will take a risk by breaking new etymological ground, and coin a new word for junco nests: phytotroglodytean (phyto = of plants; troglodyte = of caves; cave-dwelling). Whatever you call a junco nest, it's almost certain to be well hidden. Scads of people walk within ten feet of this nest, every day, and I doubt that hardly any of them noticed it. Nor would I, had I not seen the adult junco with a mouthful of fresh food. Right after the adult junco departed after a feeding, I found the right angle, and zoomed the camera into the junco's cave hoping that the youngsters would be visible. And one of them was; the others - three, most likely - remained hidden in the nest cave's darker recesses. Their's is a neat little hiding spot, and juncos excel at creating such nurseries. They must know what they are doing - this species is one of the most common birds in North America. The next morning, I was pleased to see Senora Junco once again busily delivering insects to the juniors and cramming them down their throats, as the nonstop parade of touristos huffed by up the hill, oblivious to the production of the little "snowbirds". Many of the passersby undoubtedly spend money to purchase seed that fuel wintering juncos, and only know these charismatic little birds from their frosty wintertime backyards. A trail weaves through lush spruce-fir forest near the summit of Clingman's Dome in Great Smoky Mountains National Park. These high elevation Appalachian woodlands are fascinating places to explore. They are filled with a spectacular diversity of plant life, which in turn spawns a fantastic assemblage of birds and other animals. Including salamanders. While my main mission in the Smokies did not involve amphibians, I just can't resist turning rocks and logs to see who might be home. And with a claimed two (2!) salamanders per square meter in some areas of the park, it'd have been folly not to salamander-search a bit. There are 31 salamander species in the Smokies (only 24 in all of Ohio), and some of them are extremely localized, occurring only or primarily in Great Smoky Mountains National Park. I'd of course love to see them all, but that'd take a lot of effort and time not available to me on this mission. But there was one species in particular that I really wanted to see, and I did. Voila! The striking Jordan's salamander, Plethodon jordani (also called red-cheeked salamander). It was almost too easy to find these little beauties, and I must have seen a dozen or more without undue effort beyond turning a few rocks and logs. The salamanders in this genus - Plethodon; the lungless salamanders - originated in the southern Appalachian mountains, and this region harbors the greatest numbers and diversity of salamanders of anywhere in North America. Fully 8% of the world's salamander species are found here. It is said that the total biomass of salamanders in the Smokies is twice that of birds, and probably equal to that of the smaller mammals. Jordan's salamander is named for an ichthyologist (fish scientist), David Jordan of Stanford University. I don't know the back story about how this recognition came his way - perhaps he discovered it - but Dave should be flattered to have such an exquisite creature bearing his name. Jordan lived some time ago, from 1851 to 1931, so I'll assume this salamander has been known for many decades. Yet, extraordinarily, its nest has never been discovered, so data on eggs or nest sites is unknown. The Smokies still harbor many secrets. The other moniker, red-cheeked salamander, is logical and fitting. The brilliant red cheeks are probably an aposematic warning - the skin secretions of this species are nasty and the cheeks send a warning to would-be predators. As in other Plethodon salamanders, the skin is a vital organ. Jordan's salamander and the others have devolved their lungs and eliminated the energy budget associated with those organs. Instead, respiration takes place directly through the skin, which is rather like a large all-enveloping lung. The Jordan's salamander is an emphatic punctuation point to the incredible and often extremely localized biodiversity of the Smokies. Even though this species can be locally abundant within the park, it is not known outside the park's borders. I read the entry on your blog regarding the Jordan’s Salamanders you found recently in the Smoky Mountains. I thought you might be interested in knowing that the naming of that salamander after David Jordan has strong Indiana connections to three individuals. The first connection is Jordan himself. David Starr Jordan was a well-known ichthyologist and later university president, and one of his first jobs was teaching in the biology department of Butler University in Indianapolis (the same Butler University of NCAA basketball finals fame the past two seasons). He left Butler for Indiana University where he again taught in the biology department. During his tenure at IU, he became president of the university at the young age of only thirty-four! He left IU to become president of Stanford University in California, where I believe he remained for the rest of his career. While in the biology department at IU, one of Jordan’s students was a fellow named Willis S. Blatchley, the second Indiana connection related to this story. Blatchley was pretty much in awe of Jordan, and considered him very much a mentor. After college, Blatchley’s interests and accomplishments were many, and included such varied subjects as entomology, malacology, ornithology, herpetology & geology. He was the state geologist for the State of Indiana for quite a few years. His list of published papers is extremely long, and among his achievements was a treatment of Coleoptera that is still highly regarded today. Do a Google search of Willis Blatchley and many links will pop up! And finally the third Indiana connection to this salamander -- In the summer of 1900, a man by the name of L.E. 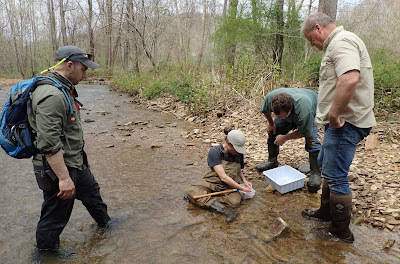 Daniels of LaPorte, Indiana was collecting mollusks in Tennessee. During his excursion, he collected several salamanders which he later gave to Blatchley. Among them was Jordan’s Salamander, which was undescribed at that time. Blatchley described the species and named it after his old friend and mentor David Starr Jordan. I made a whirlwind trip to America's most heavily visited national park last weekend. It was long overdue. Great Smoky Mountains National Park straddles the North Carolina/Tennessee border, and hosts some nine million (million!) visitors a year. It's a bit of circus traffic-wise at times, but the park is within an easy drive of much of the eastern U.S. and given the beauty of the place, it's no mystery why so many people would want to come here. But if you are interested in flora and fauna, it is easy to get off the beaten paths and find much of interest. The Smokies encompass 814 square miles and that's a lot of space. 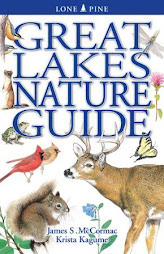 But, to bring out its fabulous biodiversity, it is instructive to compare the Smokies with my home state, Ohio, which at 41,222 square miles is nearly 51 times larger than Great Smoky Mountains National Park. The Smokies is full of gorgeous scenery, at every turn. It is a place of indescribable beauty, and even if one had no interest in the finer points of biology, a trip here will be most fulfilling. For a great many people, the Smokies has probably been their first true experience of a large, wild landscape. But there are large-scale problems, all of them man-induced. Click the photo o expand it, and look at all of those dead trees on the distant mountainside. They are Eastern hemlock, Tsuga canadensis, victims of the woolly adelgid, an insect inadvertently imported from Asia. The amount of mortality caused by this invasive pest is staggering. At higher elevations, as around the summit of Clingman's Dome, another species of non-native insect has laid waste to the Fraser's fir, Abies fraseri. Another big impact comes courtesy of our cars, trucks, and factories. Air pollution, at least on bad days, has reduced visibility from the high peaks by as much as 80% from what it was five or six decades ago. The smog also casts a pall on the overall landscape, muting colors and dimming vistas with haze. Airborn chemicals also harm vegetation, especially acid rain. But much of the park still looks great and harbors habitats chockfull of life. This is great rhododendron, Rhododendron maximum, which was near peak bloom during my visit. This showy evergreen shrub creates lush tangles along stream courses, and contributes heavily to the ambience of the mountain coves. There are about eight other species of Rhododendron in the Smokies, but few can hold a candle to this high elevation shrub. It is Catawba rosebay, R. catawbiense, a real ooh and aah plant by any standard. This shrub was nestled amongst red spruce, Picea rubens, high up on Clingman's Dome. This particular mountain boasts one of the highest elevations in the Smokies, pushing to 6,643 feet. At this spot, there were many boreal breeding birds, including Red-breasted Nuthatch, Brown Creeper, Winter Wren, Golden-crowned Kinglet, Black-throated Blue and Canada warblers, Dark-eyed Junco, Purple Finch, Red Crossbill, and Pine Siskin. The flowers of Catawba rosebay are especially striking, the brilliant pink clusters glowing from the shadows and drawing the eye of all who see them. I was quite interested in less conspicuous plants, such as this southern mountain cranberry, Vaccinium erythrocarpum. A rather small shrub, the cranberry forms thickets that blend with the other vegetation, until one notices the striking flowers dangling below the leaves. If you find this one in Ohio, you've made a great discovery. It is mountain wood-sorrel, Oxalis montana. While this showy little wildflower is endangered in Ohio, it's all over the Smokies and not hard to find. Freshly back from the Great Smoky Mountains National Park with lots of interesting finds and photos. But more on those experiences later - kites are the news of the day. 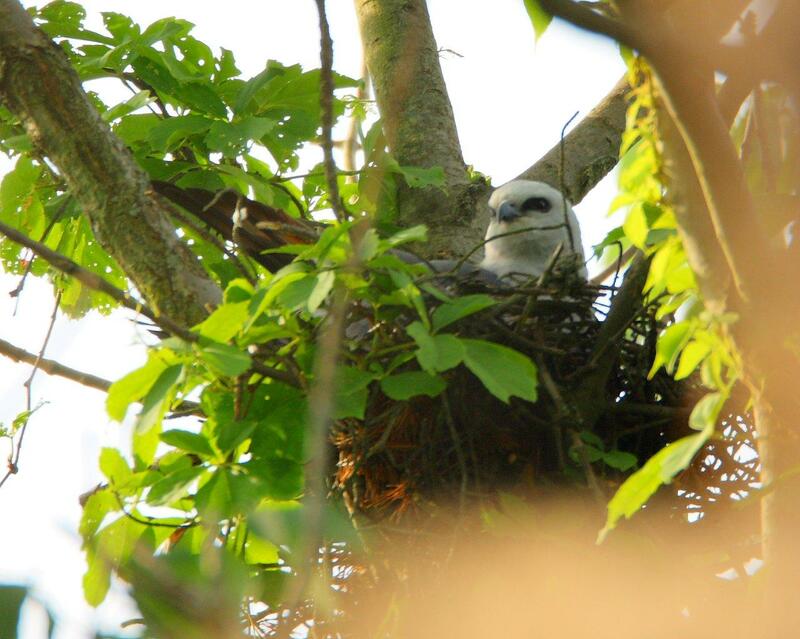 Last year, Mississippi Kites were confirmed as nesting in Hide-A-Way Hills (HAWH), Hocking County. 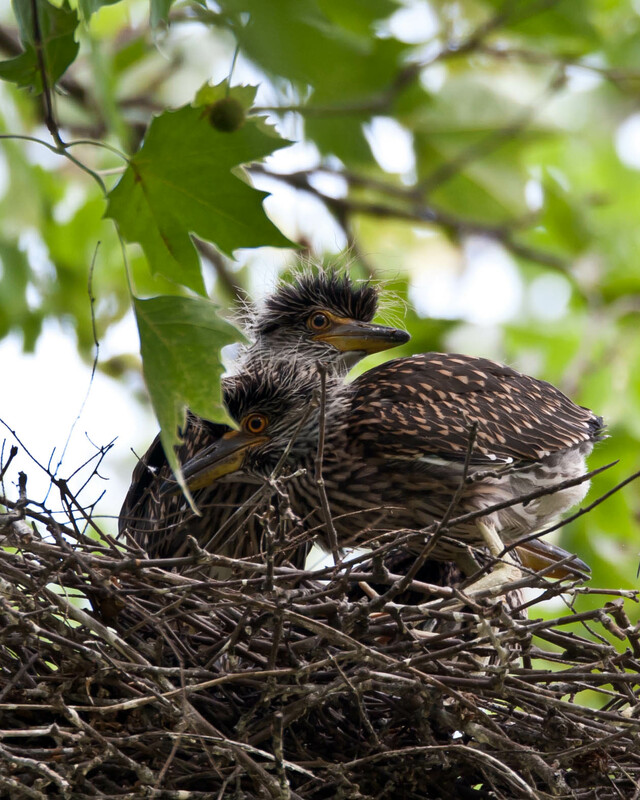 The first documented Ohio nesting dates to 2007, when adults were observed feeding a recently fledged juvenile elsewhere in Hocking County. You can read some details about the inaugural nesting HERE. But we never were able to find the actual nest of the pioneering pair. So it was with great excitement that I received a call last summer from Elizabeth vanBalen Delphia, who reported Mississippi Kites that were constantly present near her and her husband Michael's house in HAWH. Ohio Division of Wildlife photographer Tim Daniel made the trip down a few days later, in mid-August, and not only obtained stellar images of the kites, he found the nest high in the boughs of a white ash. It wasn't long after that and both young birds left the nest and became conspicuous members of the HAWH community. Perched atop lofty dead tree branches, they would constantly exhort the hard-working parents to bring yet another plump cicada. HAWH is a gated community and locked up tight as a drum. You either have to live there, or have explicit permission from a resident to gain access. But the spectacle of young kites being attended by adults was just too good not to share, so we hatched a plan with Elizabeth and Michael to have an open house "Kite Day", which happened on August 21. You can read all about that event and see photos RIGHT HERE. Dane Adams, who kindly lets me share some of his stunning imagery from time to tiime, was there and took these STUNNING PHOTOS. Well, the kites are back in HAWH this year, and Elizabeth reports that incubation is well under way. Dane was able to visit a few days back, and sent along these photos. Above, one of the kites peers from its leafy abode. In this photo, the kites are in the act of swapping positions atop the eggs. The sexes share incubation duties, and are probably warming two eggs - a typical clutch size. This may not be the only HAWH nest. There is another pair of kites in the neighborhood, and all signs point to another nest. Elizabeth and Michael are looking, and hopefully will find it. I can attest from personal experience that Mississippi Kite nests are sometimes not the easiest things to find. They often site them high in trees, typically near the trunk, and leaf cover can render the aerie nearly invisible. 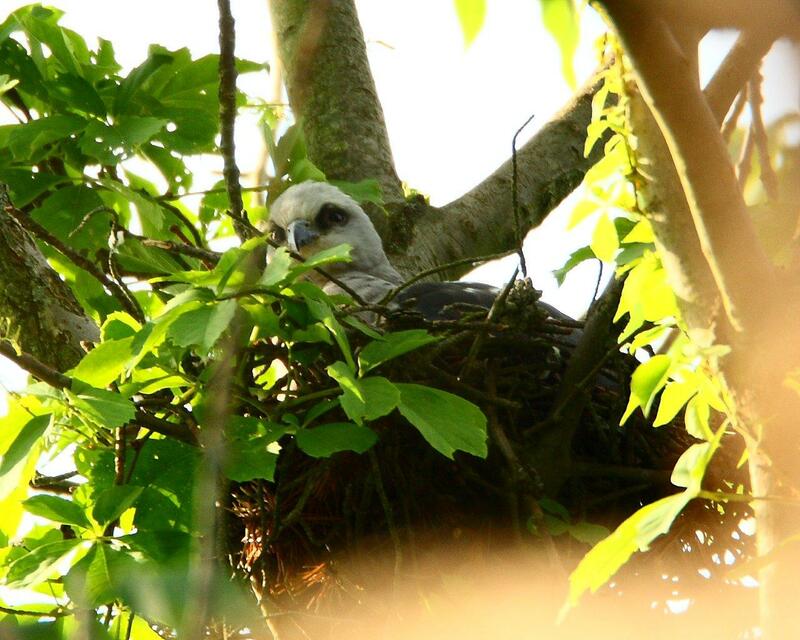 Mississippi Kites are somewhat colonial in their nesting habits, especially out west, so multiple breeding pairs in HAWH would not come as a total surprise. Anyway, Elizabeth and Michael have graciously agreed to work with the HAWH administration and establish a day in which interested birders can come witness the spectacle. We want to wait until the young kites are free-flying but still being attended to by the adults, which should be in early to mid August. At that point, the birds just can't be missed, and they are utterly unconcerned with fawning masses of people. Also, the adults can often be observed deftly snagging flying cicadas from the ether, and I'll tell you, that is an aerial feat that is hard to match. We'll try to provide as much notice as possible of Kite Day 2011, and I'll post up details here and on the Ohio Birds Listserv. Thanks once again to Elizabeth and Michael for their monitoring of the birds and sharing details with us. And kudos to Dane for his great work. On a recent trip to southern Illinois, I ran across a number of slaty skimmers, Libellula incesta, foraging high on a ridge in a woodland gap. This female was especially cooperative, and it was fun to watch her engage in frequent flycatcherlike "yo-yo" flights; darting from a favored perch and returning to the same spot to consume her prey. You do NOT want to be a lesser bug and find yourself on the radar of a dragonfly. They are quicker than winks, can easily outmaneuver the most agile of helicopters, are capable of acceleration that would shame a Ferrari, and have all of the goods to deal with a victim once it is seized. Check out the bristles on those legs. They are known as raptorial spines, and form an Iron Maiden death grip on anything unlucky enough to be caught. From there, the hapless bug's next stop is the powerful mandibles of the dragonfly, where it will be crunched like a can in a trash compactor, and swallowed. Life is scary for the lesser bugs, with death-dealers such as this slaty skimmer hanging around. 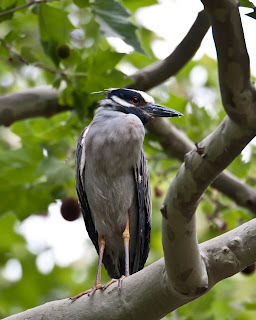 An adult Yellow-crowned Night-Heron, Nyctanassa violacea, stands sentinel in its big sycamore tree in a very suburban Columbus, Ohio neighborhood. Ace photog Dane Adams stopped by the site yesterday and took some outstanding documentary photos of one of Ohio's very few known nesting pairs of these interesting herons. 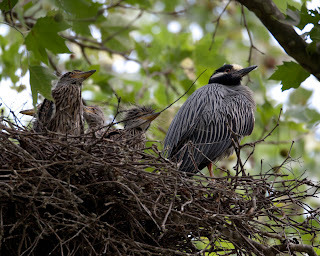 These night-herons have been nesting in their Bexley suburbanscape for many years now, and the nests - I believe there are two, at least there were the last time I made it by - resemble overgrown Mourning Dove nests. The stick platforms have become somewhat larger and bulkier with each passing nesting season, and this one has gained considerable mass since the birds first began to breed at this site. I covered this story a few years ago in more detail, you can read it RIGHT HERE. Flimsy abode or not, it obviously suffices to support a clutch of night-heron eggs, and later, the gangly offspring. 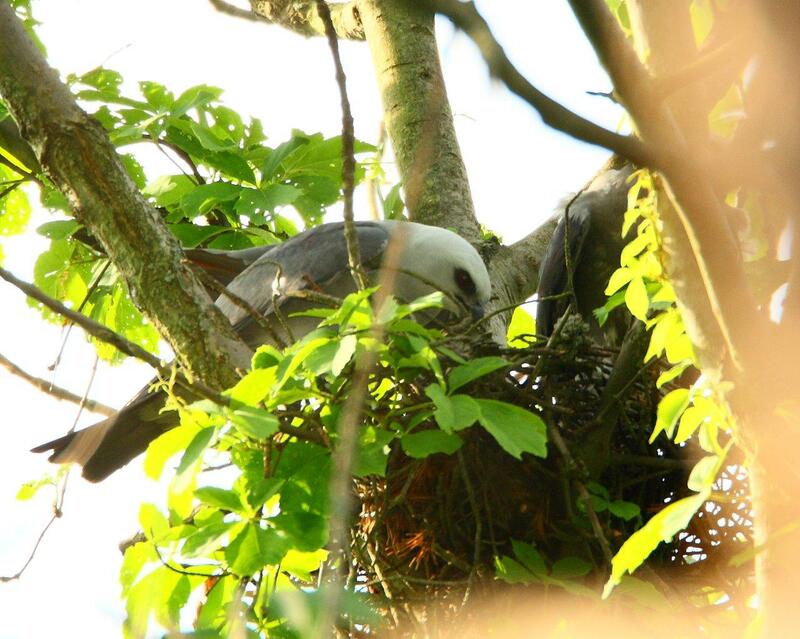 As we can see from Dane's photo, there are four awkward-looking big-billed heronlets in the nest, curiously peering about. The young herons may not be much to look at at this point, but they'll morph into one of our most beautiful waders, at least the males will. Yellow-crowned Night-Heron is an extremely rare bird in Ohio, and is listed as threatened in the state by the Ohio Division of Wildlife. A compelling argument could be made for upgrading the species to endangered. There has been only one other confirmed nesting in the past few years, and a half-dozen possible but unconfirmed reports. They are at the extreme northern limits of the breeding range here; yellow-crowneds become common as one moves southward into the southern states, the Caribbean, and coastal areas (primarily) of Mexico and Central and South America. It shouldn't be long and these little bulbous-billed wonders will be out and about, fishing for their own crayfish in nearby Alum Creek. Hopefully this nesting site will continue to be used for many years to come. Thanks, as always, to Dane Adams for freely sharing his work with us. Exciting news broke last Sunday afternoon, when veteran birder Doug Overacker announced on the Ohio Birds listserv that he may have located a Cassin's Sparrow in Shelby County, which is in western Ohio. Doug was driving along a rural lane when he heard the bird sing, but was unable to locate the sparrow despite searching. ﻿Well, Doug went back yesterday, and Bingo! - he relocated and photographed the Cassin's Sparrow, documenting a new state record. Before I go on with this story, I want to give major kudos to Doug Overacker. This is without doubt one of the most skilled finds around here in recent memory. While Cassin's Sparrows do have distinctive songs, this species would probably be far from one's mind while in Shelby County, Ohio, and it'd be easy to ignore or miss the song amongst the quiet cacophony of other field singers. Great find, Doug. I couldn't stand the thought of such a cool beast not too terribly far off, so after work today, I drove on over to have a look at the sparrow. Not exactly a memorable piece of real estate. Courtesy of Google Earth, we can look down on the exact tract of land that the Cassin's Sparrow has adopted. 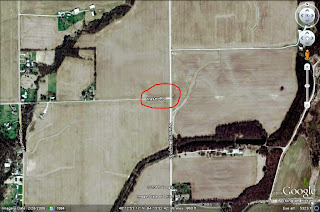 It seems to hang out exclusively in the area circled in red - very typical western Ohio farm country, but there is a bit more to the habitat story, as we shall see. You can see why Doug's find is significant and excites birders. The Cassin's Sparrow is very much a bird of the Great Plains and points south, where it occupies dry grasslands. Ohio is well to the east of its normal range, but these shy skulkers are well known for their proclivity to wander. There are numerous records east of the Mississippi and Indiana, Michigan, and Ontario, Canada - all of which abut Ohio - have had records. It was only a matter of time before we got one. Here we are - ground zero at the Cassin's Sparrow site. Dave Collopy and Steve Landes keep a vigil, in particular eyeing that small tree at the end of the road - the only tree in the immediate proximity of this spot. A closer look at the tree, which you will certainly inspect should you make this rarity chase. I believe the bulk of this woodiness is a dead American plum, with a smaller - and living - silky dogwood growing intermixed. There are thick tangles of poison ivy in there, too, look - don't touch. Anyway, the Cassin's Sparrow is for whatever reason smitten with this shrub, and perching in it is apparently a regular part of his routine. Finally - the bird! It seems that this Cassin's Sparrow, which is a male, sings somewhat frequently at certain times of the day; that's how Doug initially found it. This morning, Ken Beers observed it "sky-larking"; doing its beautiful aerial song display. When I was there it never did sing, but made a few trips into the aforementioned tree to hang out and have a look around. Cassin's Sparrows are plain janes, there isn't any other way to put it. But have a look at that honker of a tail, which imparts a rather unique look to the bird. And like most sparrows, it compensates for less than showy plumage with a pleasing song. This species is in the genus Peucaea (long in Aimophila; recently moved), which includes two other species in the western U.S.: Botteri's and Rufous-winged sparrows. There is only one Peucaea (normally) in the east: Bachman's Sparrow. As I saw Ohio's last territorial Bachman's Sparrow, when I was just a young lad, as of this moment I may be the only birder to have two species of Peucaea in Ohio. Here's a grander view of the habitat that the Cassin's Sparrow is frequenting. It is typical farm country, but there are different ways of growing crops and I think this is worth noting in this case. The field front and center is where the Cassin's seems to spend the bulk of its time. It has companions, too. This field had Grasshopper, Savannah, and Vesper sparrows, and Steve Landes heard a Henslow's Sparrow further down the road. That's my car in the background, and the field that lies beyond is very different. The Cassin's Sparrow field is no-till agriculture - the farmer allowed some wheat, primarily, to remain unharvested. As the field wasn't plowed under after the last crop, lots of "weeds" came up as well. You can see the new corn coming up in rows between the wheat. The upshot of no-till is that it leaves tons of food in the form of seeds, and that makes sparrows happy. It also provides structure in the form of the old weeds and remnant crops that birds can use for nesting cover. ﻿This is the adjacent field - clean agriculture tilled thoroughly and nearly to the exclusion of all non-crop plants. There were no sparrows cavorting over here. I'm not saying that the Cassin's Sparrow picked his field because it was the only no-till field around. There are plenty of farmers who practice no-till but unfortunately they are usually outnumbered by growers that plow everything into submission. But I do think the reason the Cassin's is hanging out - and who knows how long it was present before Doug found it - is that it finds an abundance of food, and ample cover. By the way, this Cassin's Sparrow was #366 on my Ohio list. Thanks again to Doug Overacker for his fantastic find, and I hope you get over to Shelby County to see this little charmer. On a recent excursion into Indiana's Hoosier State Forest - yes, they have trees over there - I happened to glance at this oxeye daisy and notice a weevil. I like weevils. These beetles remind me of tiny elephants with their trunklike proboscis, so I swiveled the macro lens in its direction. No sooner had I drawn a bead when another even more interesting creature alit on the weevil's flower, even having the temerity to step on my subject. I must admit, my first thought was "wasp!" followed by "this might be good!". My initial childish hope was that the "wasp" might attack or otherwise engage the beetle, giving me some real action photos. But all of that flitted through my mind in just a second or so, as the reasoning part of my brain worked at digesting what was really going on. But it didn't take long to realize that this was no wasp at all, but a remarkably good wasp mimic. It is, I believe - and as always, someone please correct me if I am wrong - a species of tachinid fly in the genus Cylindromyia. A giveaway that this is actually a fly is the single pair of wings - non-flies such as wasps have two obvious pairs of wings. In flies, the second pair of wings are greatly reduced, and called halteres. The Cylindromyia's halteres are whitish, and visible behind and at the base of the primary wings. Also, our wasp-fly has stiff hairs projecting from its body - a very tachinid fly-like feature, and the field mark that put me in the right arena in regards to trying to figure its identity. Looking like a stinging bad guy probably helps the fly survive the predation dangers that come with visiting flowers for nectar. The Bug World is absolutely full of this sort of mimicry; an endlessly fascinating subject.